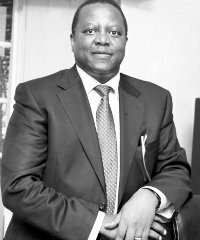 Founder and CEO of Suraya Property Group, Pete Muraya, is one of Kenya’s most successful entrepreneurs. After decades doing business, and seeing his share of failures, Muraya has learnt how to achieve success. He shares his top five tips. To be a successful entrepreneur, you need to be passionate about the business in which you plan to invest. Muraya, who has faced many challenges, says passion is what keeps him going through the tough times. Thorough research is a key component of a successful project, says Muraya. He advises entrepreneurs to read books and magazines on their business interest, visit existing companies to understand their workings and ask the advice of experts before investing in an idea. During the time he was investigating becoming a property developer, Muraya used to visit building projects posing as a customer. He would ask questions about the cost of the house and would sometimes measure the rooms. This would help him find out how much the developer had spent and what kind of profit the company might make. “Although you might need to hire experts, you [should also] have a good knowledge of what the business requires,” he says. Challenges are inevitable in business. It may be easier to run away from them, but Muraya advises entrepreneurs to face their challenges and deal with them. When Muraya was under pressure to pay off his debts, his wife suggested that he list “every debt you have, starting from the smallest, to the bank you owe $120,000”. After listing his creditors and debtors, Muraya realised he was dodging paying people to whom he owed $10, even though he could afford to repay them. He says solving smaller problems will give you the motivation to tackle the bigger challenges. Muraya has experienced his share of failures. Entrepreneurs are bound to fail somewhere along the line, but Muraya says you should never give up. Be risk takers and don’t fear accumulating some debt, says Muraya. To make money, entrepreneurs must be confident using other people’s money, he notes. However, Muraya cautions entrepreneurs to spend carefully and live within their means. An inappropriate choice of lifestyle has hindered many people from achieving their goals, he says.